It started with an almost-six year old in London who decided he didn’t want any presents for his birthday. Instead, last September little Alexander asked for donations to help children like him who have little to celebrate – Syria’s youngest refugees. Having left siege, shelling and sniper fire behind them, Syria’s 1.2 million child refugees might be considered the ‘lucky ones’. But poverty and a lack of schooling – added to the trauma of having lost relatives, friends, limbs and homes – mean their future prospects are bleak. Nowhere is this truer than in Lebanon, where the UN registered its millionth Syrian refugee on 3 April. Half of these are children, most of whom don’t go to school. Instead, many of are forced to work, marry early or beg to help their families survive. 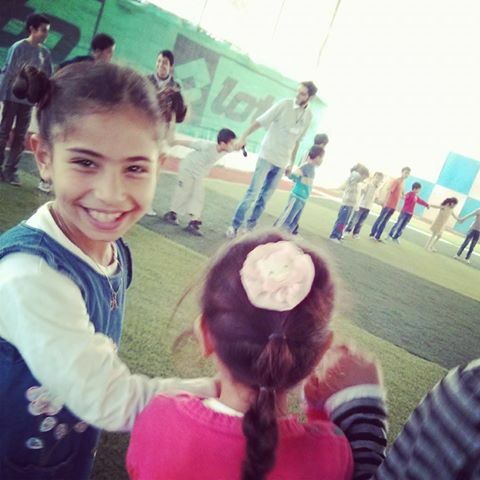 But thanks to Alexander, hundreds of Syrian children living in tented settlements in Al-Minieh, just north of Tripoli, were given the opportunity to be kids again. 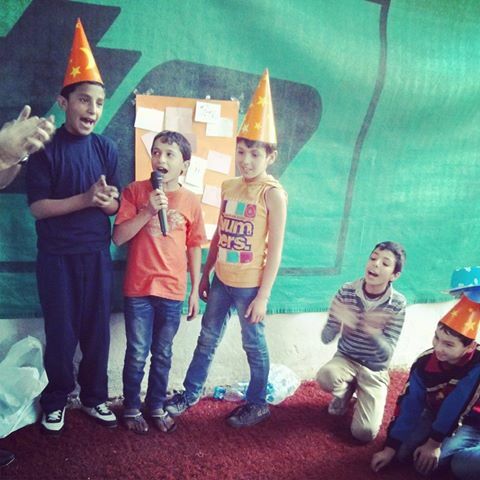 Using the £350 raised for his birthday, local children’s NGO Ward (Flower) Team took a programme called Taraneem al-Tafula (melodies of childhood) to these unofficial camps, encouraging children to unwind, build trust and express themselves through play. The two days of learning and entertainment, one in February and the second in April, attracted 350 children ranging from five to 15 years old. Excitement was so high that word spread and children from surrounding settlements unexpectedly came to join in. 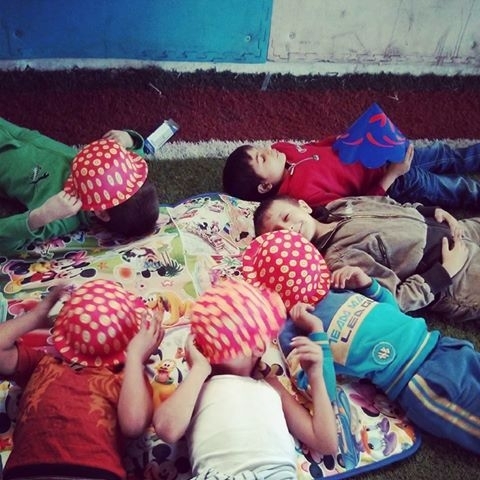 “They went crazy, because for them it was the first time someone had come to do that kind of thing with them,” said Ward’s founder Ashraf Al Hifni, himself from Damascus. “So for them it was like – wow. Something really great. 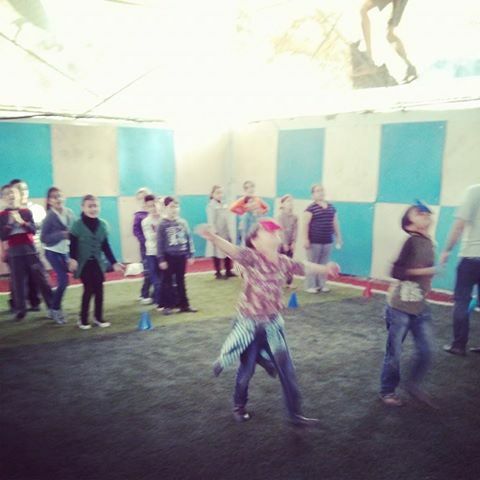 Volunteers from the group, who are from Syria, Lebanon and other Arab countries, began with energetic exercises, encouraging the children to move and make noise to let out some of the tension they carry in their young bodies. The children then enjoyed a puppet show with a positive message, before breaking into teams for competitions designed to encourage teamwork and trust, skills Al Hifni says has many have lost after three years of violence and insecurity. 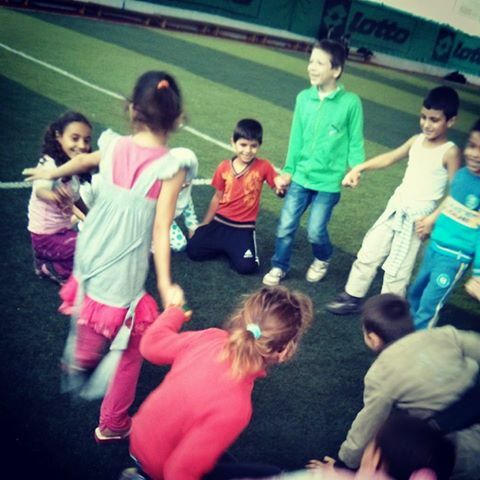 Healing and hope are made harder by the fact that many of these children don’t go to school, with a large number of those over 13 forced to work for low wages to support their families, Al Hifni explains. “They feel that there is no one to help them retrieve the smallest bit of their childhood,” he said. 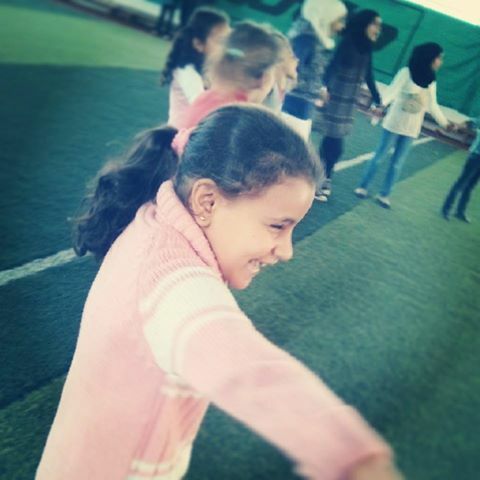 “The children are not able to exercise their natural right to learn, or find a place to play in, because most of them play just in front of their tents. And the tents are very close together. Ward also encourages these young people, who have experienced more than most adults could bear, to look beyond their tents and hold onto hope that the rest of their lives can be different. Bringing out a giant canvas, they asked the children to draw something that represented their future dreams. One boy drew a plane, explaining that he wants to become a pilot. The programme also allowed Ward to identify children with psychological and other extra needs, so that it can help them access specialist services. 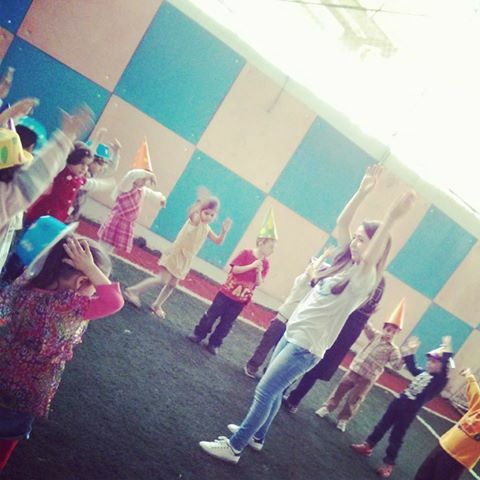 For two days, Taraneem al-Tafula brought music, fun and creativity to Al-Minieh, giving its children the space to play, learn and be children again. Thank you Alexander – and happy birthday.